Comes in adorable coordinating pink fabrics that are just as stylish as they are functional. 100% cotton, machine washable. 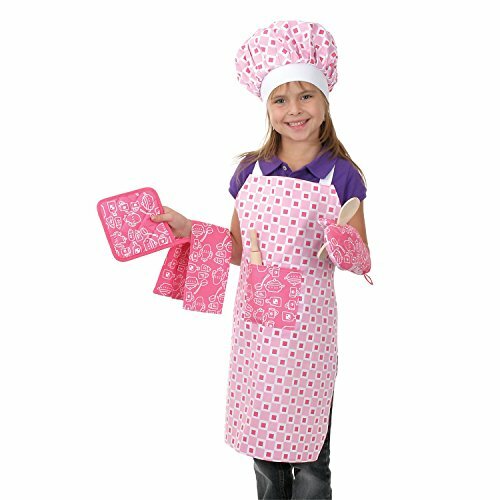 This deluxe set includes a 10" x 16" tea towel, 5 1/2' hot pad, oven mitt, apron with adjustable straps and ties, chef's hat, 7" wooden spoon, and 8" rolling pin. Deluxe Chef Set is the perfect gift for mom's little helper.